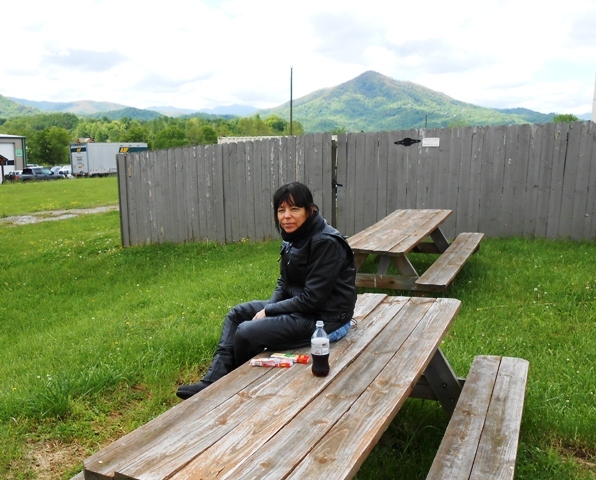 On Tuesday, May 7th, we took another Day Ride. 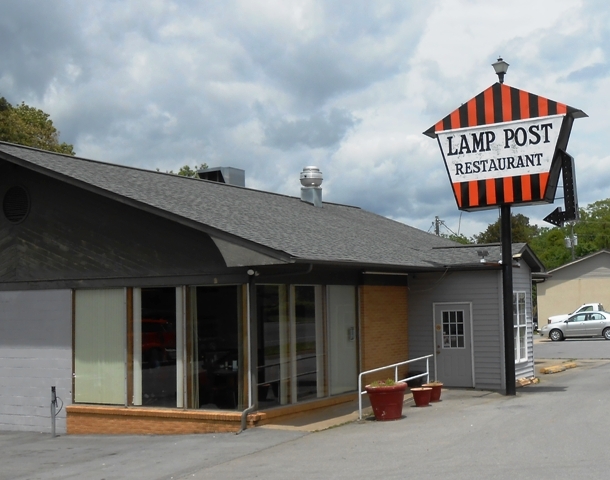 Our destination was the Lamp Post Restaurant in Madisonville, TN. We left our home in North Knoxville at 10:15 am. 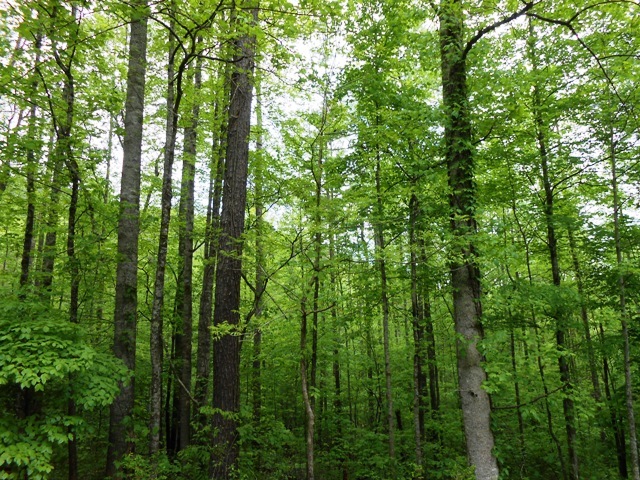 The skies were partly cloudy with periods of sunshine and the temperature was cool, right around 50 degrees Fahrenheit. We debated on what gear to wear, finally deciding on our leather jackets and chaps, Olympia cold weather “Best Gloves Ever”, fleece neck warmers and our HCI Pilot helmets. We also made sure we packed our rain suits since there was a good chance of afternoon showers. We took 225 South to get to downtown Knoxville. 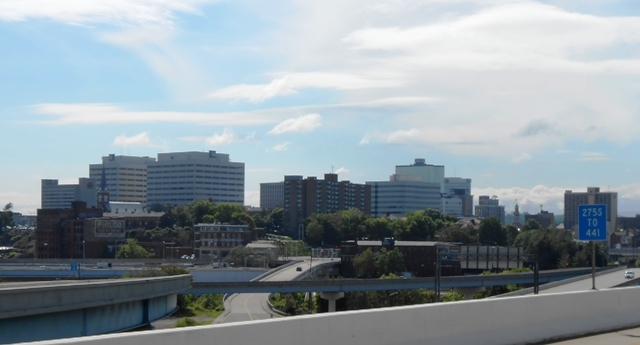 We love the view heading into downtown! 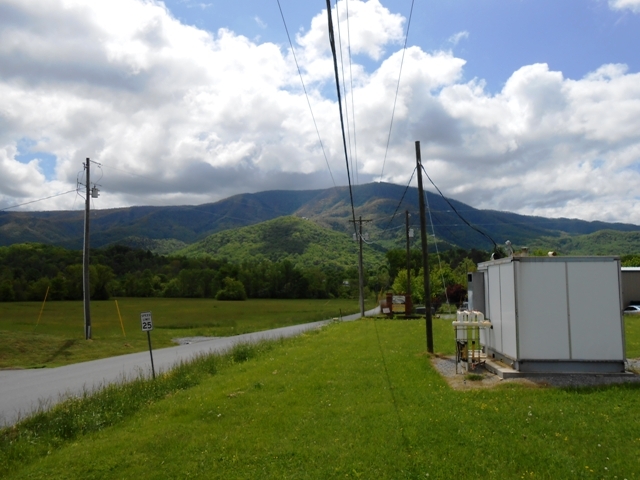 Once downtown, we crossed the Gay Street bridge to get to Chapman Highway and then rode south through Seymour and into Sevierville and Pigeon Forge. 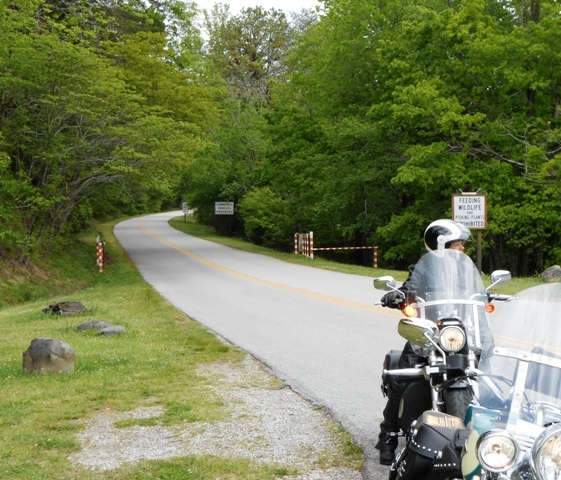 In Pigeon Forge we took 321, a curvy country road through Wears Valley. 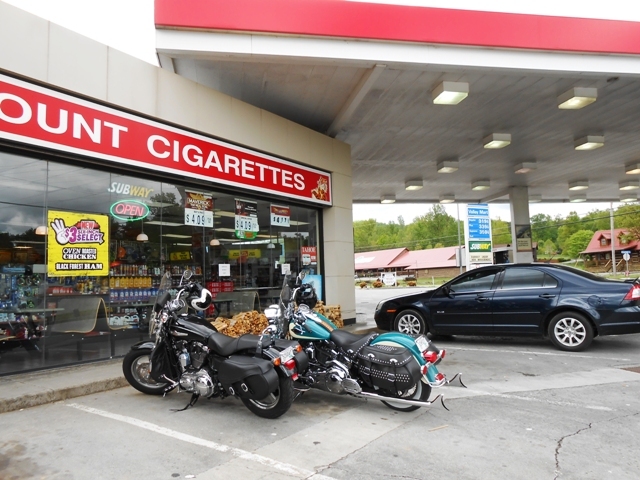 We stopped at the Valley Market for gas and a snack. The beauty of the mountains is everywhere. 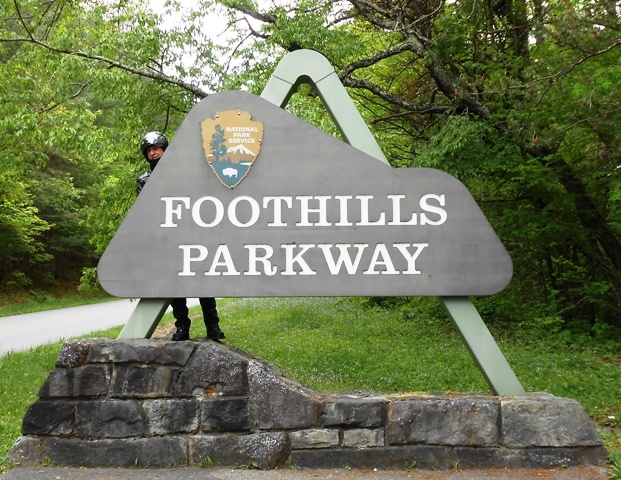 After our break, we got back on 321, rode to Townsend, then exited onto the Foothills Parkway. 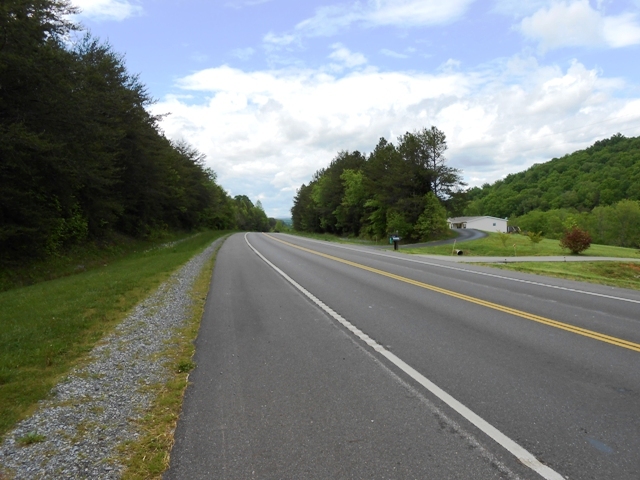 We ride over the Parkway several times every year because it’s close to home, has low volumes of traffic and is stunning to look at. 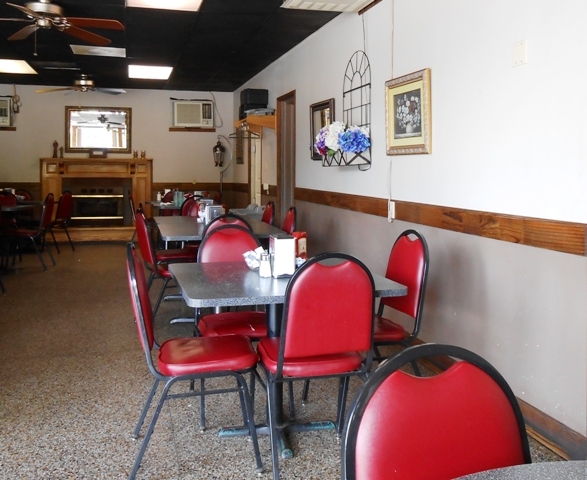 We crossed the Parkway to Tallassee, where we took 72 to 441, riding through Vonore and into Madisonville. 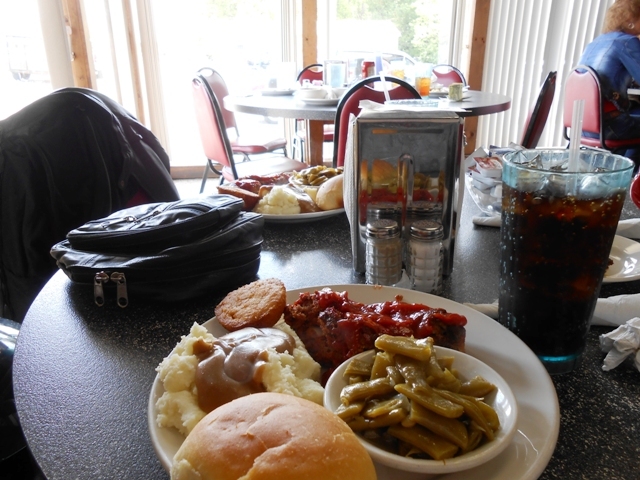 Once in Madisonville, we stopped at the Lamp Post Restaurant right on highway 441. We got to the restaurant at 1:30 pm. Our odometers registered 104 miles traveled. We entered the Lamp Post and the folks were super friendly. 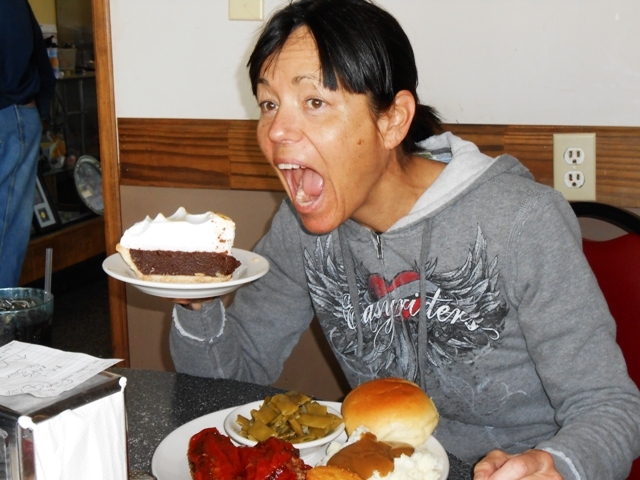 We both got the meat loaf with mashed potatoes and green beans and split a piece of chocolate cake. I really did let Jeff have some of the pie! The food was great home cooking making the Lamp Post a definite must visit. 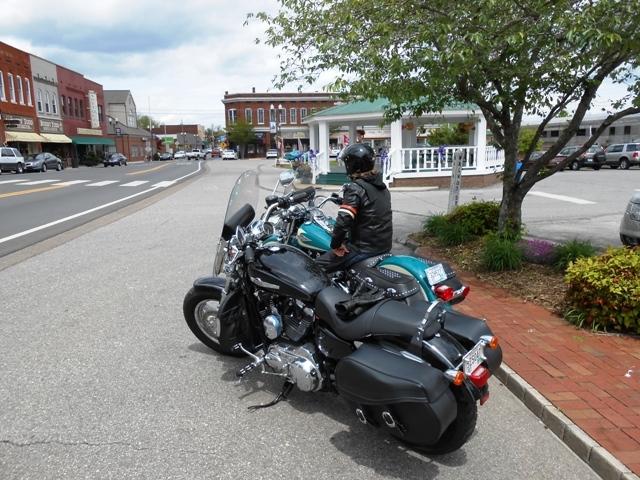 After lunch we rode through downtown Madisonville and the took old 68 to Sweetwater. 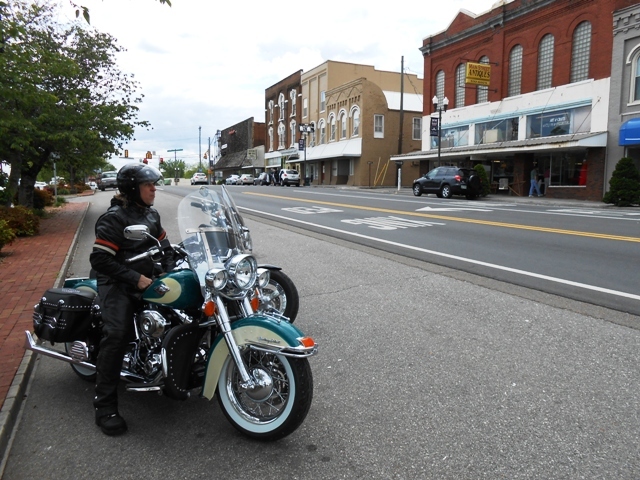 We stopped in downtown Sweetwater for a couple of photos. 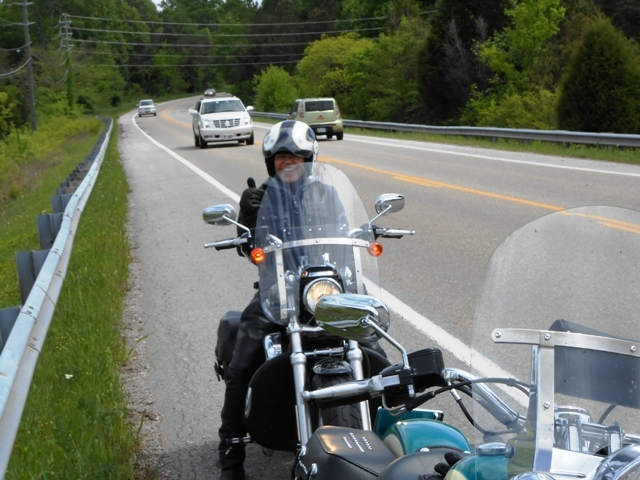 In Sweetwater, we took 322 toward Vonore and then took the old Loudon Highway to Loudon. 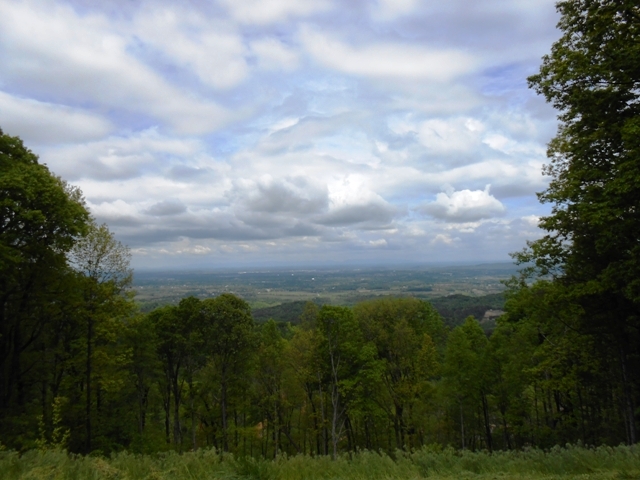 In Loudon, we took 72 South and I click a few photos while Jeff looked at his map. From 72, we took 444 through Tellico Village. 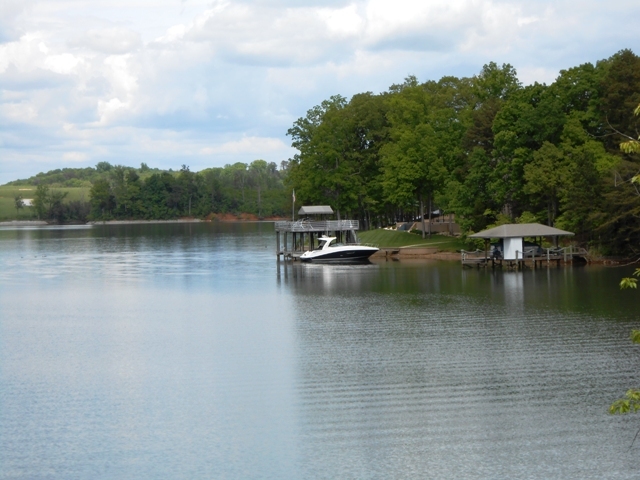 We love the view of the water through Tellico Village. 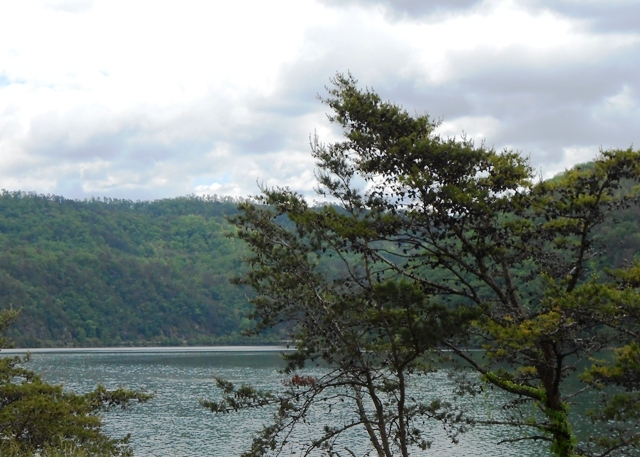 We rode through Tellico Village to the Tellico Dam, where we took 321 continuing on to Maryville. 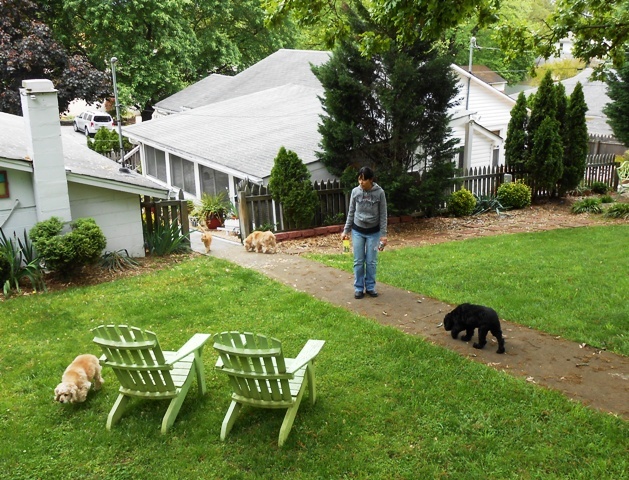 Once in Maryville, we took Alcoa Highway back into Knoxville and then home. We got back home around 4:30 pm and our total ride was 187 miles. 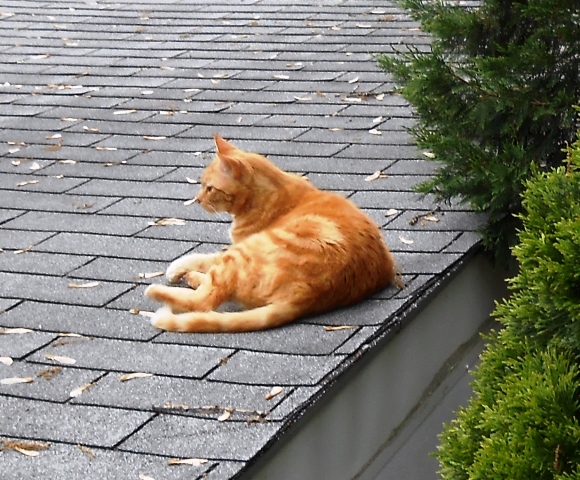 Our cat, Dave, was hanging out on the roof and the dogs were glad we were home. 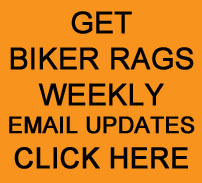 This entry was posted in Day Ride and tagged Biker Rags, Day Ride, Foothills Parkway, Lamp Post Restaurant, Sweetwater, Townsend, Wears Valley. Bookmark the permalink. Thank you James for reading! Have a great weekend. As usual I enjoyed your ride vicariously. You past right by my place on 321 right before entering Townsend. Thanks for the heads up regarding the Lamp Post. Been by it many times but never stopped. Keep on keeping on. Wow Bill! You sure live in a beautiful area. We’ve been by the Lamp Post many times and were pleasantly surprised by our first stop in. Thank you for reading and commenting! Thank you Kyle for your comment. These weekend rains are getting old! Have a good one anyway.